At Tranquil IT, we are Samba Active Directory experts and systematically advise our clients on the implementation of an AD. Why is Active Directory your ally in everyday life? We will try to explain it to you. Managing the authentication of its users on its network is nowadays at the heart of concerns, particularly in terms of cybersecurity. You store sensitive data on your network, and you don’t want anyone to be able to access it. It is therefore crucial to set up Identity and Access Management (IAM) on your fleet. To do this, you must first make an inventory of your resources forknow your information system as a whole. Once you know your resources, you need to define who has access to which resources on your network. In short, define your IAM. To set up your IAM, you will need secure and reliable tools. We help you today to better understand what these tools are, their disadvantages and advantages. Active Directory is a set of interconnected tools to centralize, manage, and authenticate users and computers of a domain. 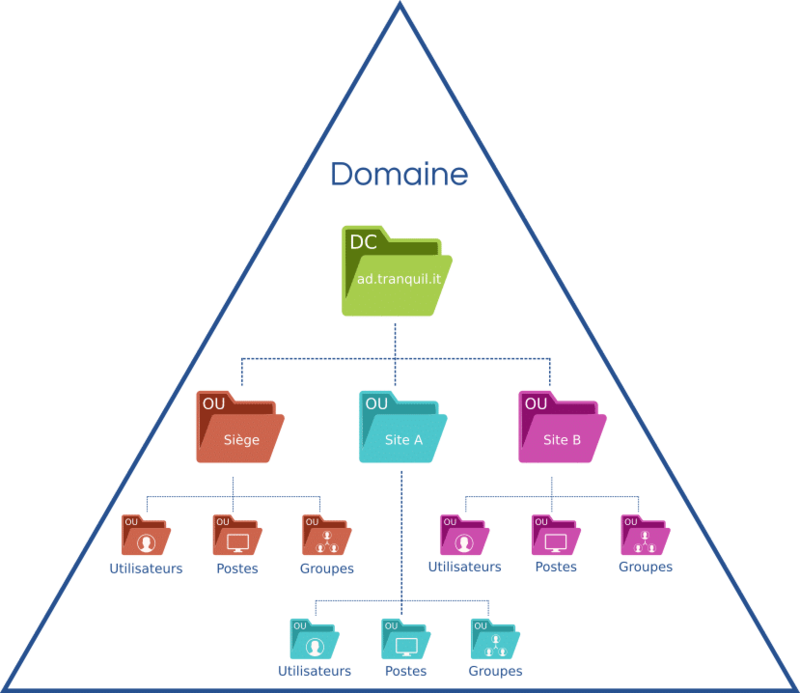 With Active Directory, you can organize your infrastructure into a main domainsegmented into Organizational Units (OU) that group objects (users, printers…). This organization allows you to apply a global security policy on your entire fleet, while applying finer strategies on your OU. By doing a little more research on the subject, you will certainly find that Microsoft Active Directory also allows you to create several hierarchical domains, with approval relationships between each of them. Caution, this practice is not recommended. Approval relationships will complicate the management of your infrastructure and especially the auditability of your information system. Active Directory is the heart of your computer network. It lists workstations, servers, users, printers, etc. Active Directory also allows you to apply your security policies to your fleet using GPOs (Group Policy Objects). Active Directory is based on the protocol Kerberos, which allows you to have secured connections. 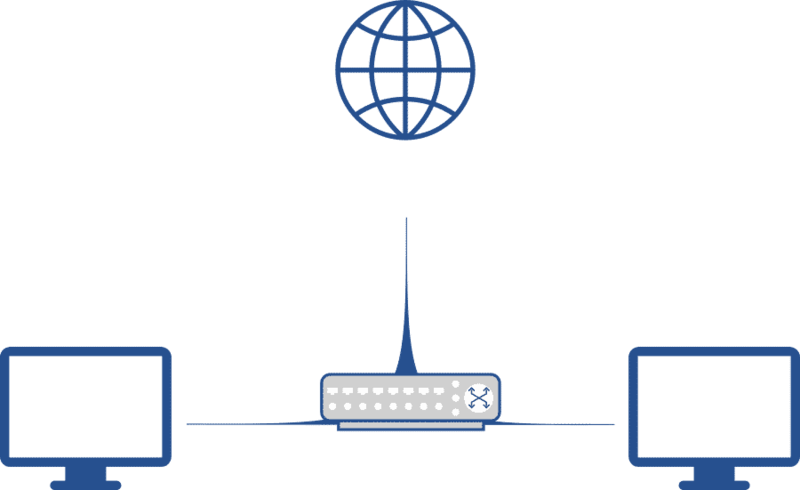 Kerberos is based on a system of authentication key and tickets, thus allowing the security of the authentication of your fleet. By authenticating, the client will obtain a temporary connection ticket, allowing him to access other services (e.g. file server, proxy server, business application, etc.) without entering his login – password again. Active Directory is a powerful set of tools that allows you to properly manage your users’ rights. At Microsoft, this technology is expensive because you have to buy CALs (Client Access Licenses) to use the Active Directory service. 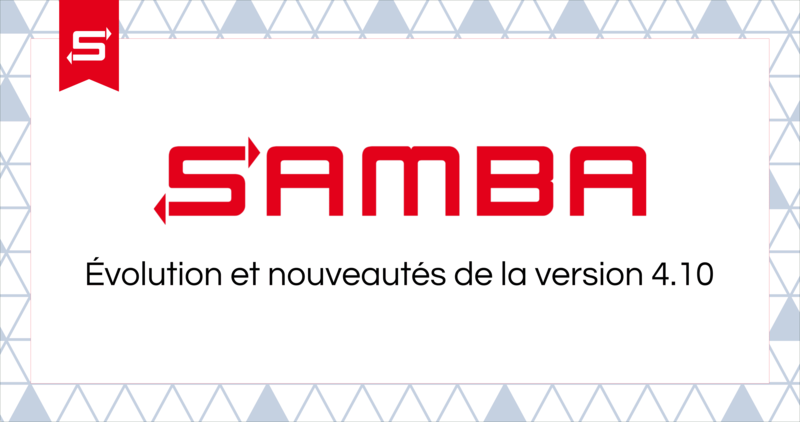 We strongly recommend that you use Samba-AD, which is the Open Source alternative to Microsoft Active Directory. 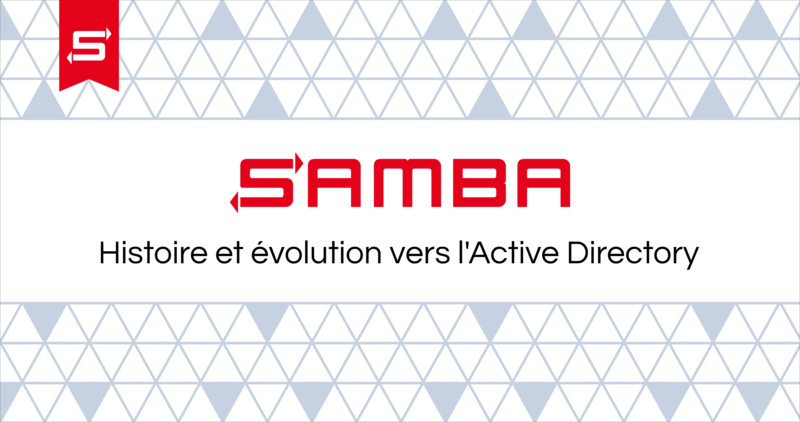 The use of Samba Active Directory is free of charge, and management is done via Windows RSAT in the MMC console to facilitate the administration of your network. Thus, Samba offers only advantages. Tranquil IT is recognized as a Samba Active Directory expert in Europe. We have more than 270 audit, training, migration, and domain merger projects to our credit. This experience of more than 12 years allows us to know the majority of migration scenarios. There are alternative solutions to Active Directory to manage the identification and authentication of your users on your fleet. You may have already considered using the following solutions, but we do not recommend using them. Here is what we have learned from our experience as sysadmins. A workgroup is a set of workstations under Windows belonging to the same group. The workgroup does not require a server to manage the workstations since the configuration is done on each workstation independently. Thus, you will have to go to each computer in your fleet to configure it. The same applies to the management of users for whom you will have to create an account on each computer they are likely to use. This mode of operation is convenient for very small organizations, as it does not require centralization of information on a dedicated server. No specific skills are required to set up a workgroup within a company. So, if your company is composed of only two computers , you can run in a workgroup. Beyond two positions, the workgroup is to be avoided. You will quickly be overwhelmed by the growing number of workstations, and your network will not be secure. We do not recommend a workgroup organization because it provides very few benefits in relation to the obstacles to be overcome. The workgroup is a temporary organization that will be useful for the creation of your company, but you will quickly need to replace it with a more appropriate solution such as Active Directory. Too often we see system administrators overwhelmed by the management of their infrastructure because of the workgroup. Conclusion: do not choose the workgroup, whatever your reasons. The NT 4 domain is limited to the directory role. Your domain will therefore group together only the identification and authentication information of your users, as well as the machines authorized to access the network. At each connection, the user will enter his login and password on an A machine. 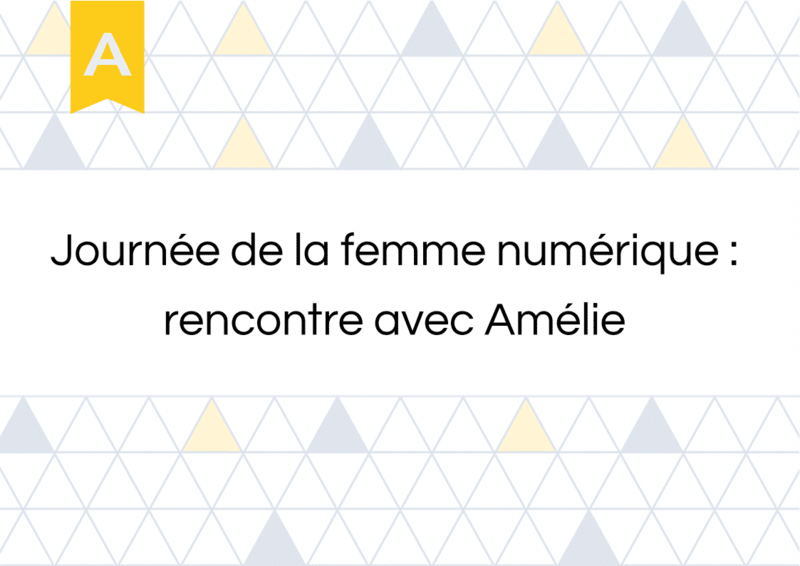 This action will launch a request to the Domain controller which will check if the couple user + password has the right to connect to the machine A. The NT 4 domain has no memory concerning a user authentication. Indeed, the Kerberos protocol is only implemented in Active Directory. Thus, each time the user wants to connect to a network service, he will have to enter his login/password again. The NT 4 domain has been at the heart of concerns recently. Indeed, the new versions of Windows 10 (1803 and above) no longer fit into an NT 4 domain. Since then, a patch has been announced by Microsoft and these versions of Windows can be integrated into an NT 4 domain again, which still represents a first alert regarding NT 4 domain support. These domains are now obsolete, and even if Microsoft continues to maintain them, we can imagine that this will no longer be the case very soon, especially since Microsoft is now turning to the Cloud with Azure. Implementing an NT 4 domain today is inconceivable because there is a newer and less expensive technology than Active Directory. If you are already under NT 4 domain, we advise you to quickly learn about Active Directory to prevent the end of NT 4 support. NT 4 is an obsolete technology and limited in terms of functionality. A migration is to be considered, either to a Microsoft Active Directory or to Samba Active Directory, the Open Source alternative.